Vitamins are extremely important to keep the body and mind running at its peak performance. 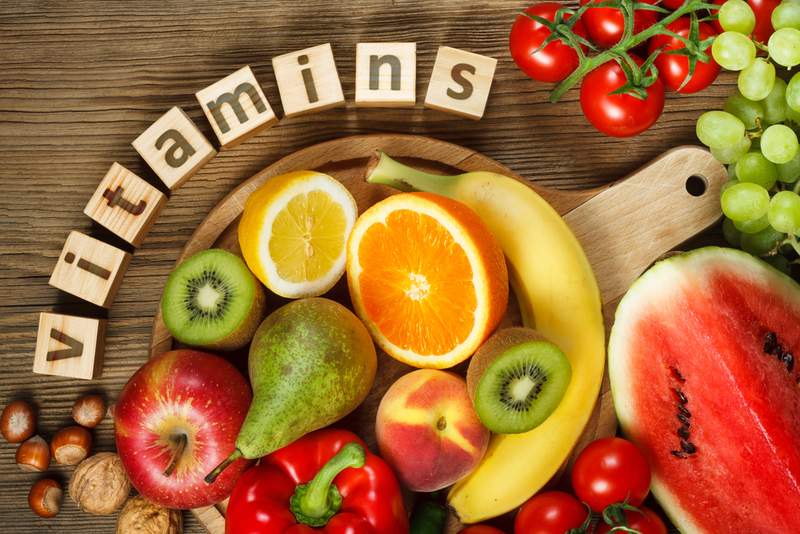 In today's world, many people simply pop a multi-vitamin daily, not really knowing if they are taking vitamins they don't need. Taking more vitamins that you need will not make you feel better or be healthier. It's like trying to put more fuel in your car when the tank is already full. Why not eat your way to health by getting vitamins the proper way, with fresh delicious foods? There are vitamins that help bones, eyes, the immune system, and more. Getting your daily requirements from food is easy to do and a lot more enjoyable than popping pills. From vitamin A all the way to Zinc your body requires a certain amount of nutrients to function properly. Some of the most important vitamins are C, B12, B6, A, and E. Why? Because these vitamins help your heart, eyes, blood, skin, and build up our immune system. Below is a list of foods you can eat and what vitamins they will supply you. Vitamin A is not only good for your vision it helps the immune and reproductive systems. Foods to eat include sweet potatoes, romaine lettuce, and carrots. Just one sweet potato has 28,058 international units (IU), which is 561% of the recommended daily value of Vitamin A.
Vitamin C is well known for fighting off colds and other symptoms that usually come up during the cold winter months. The most helpful food to eat is an orange. One orange has 97.9 mg. Men need around 90 mg per day and women should have 75mg. As you can see this one orange gives you all the vitamin C you need for an entire day. These two vitamins are very important because they improve the blood in your body and help with energy. Foods that will supply these vitamins are shellfish, yogurt, eggs, trout, and salmon. The shellfish also provides zinc, copper, and selenium. So these foods are doing double duty. Vitamin E is a source of antioxidants and is great for the skin. It also helps supply magnesium to the body. The best foods for this vitamin are almonds, hazelnuts, peanuts, avocados, and spinach. One ounce of dry roasted almonds supplies 6.8 mg of Vitamin E which is 34% of the daily value. There are many more vitamins you can easily obtain by eating from all the basic food groups. Eating healthy is a way to live longer, feel better, and save money by not purchasing vitamins you can get from a daily healthy food plan. Food tastes good and it's better for you!